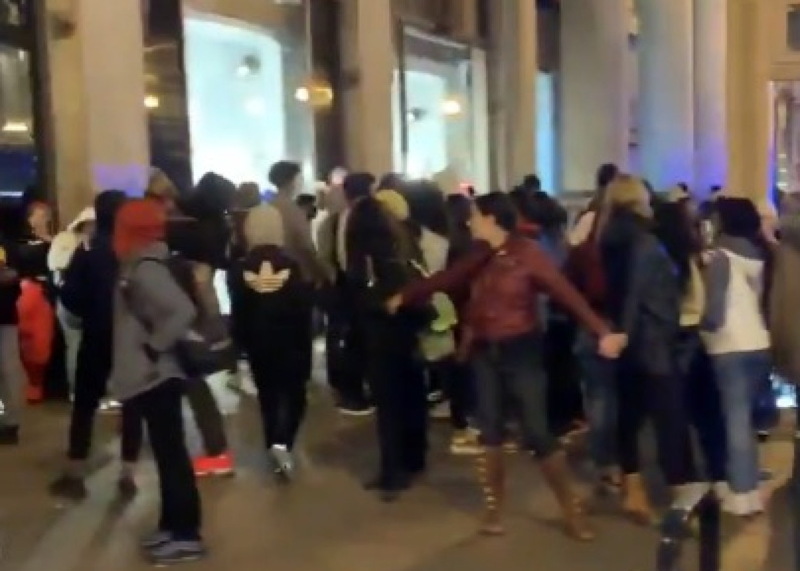 Chicago police faced another round of “large group activity” in the downtown area Saturday. Unlike previous incidents, this weekend’s antics played out south of the river in the Loop and Millenium Park areas, according to police reports. After wandering Grant and Millenium Parks without any reported incidents, the groups began to move into the downtown streets around 8 p.m., obstructing traffic and causing trouble for local retailers. Walgreens at State and Randolph reported large numbers of teens running from the store with stolen merchandise. A convenience store near State and Madison reported similar problems. At 8:30 p.m., officers reported that some members of another group were throwing bottles and rocks at cops near Madison and Wabash. The two known arrests stemmed from these alleged assaults on officers. Police followed the groups as they made their way to various Red Line stations downtown. Northbound CTA conductors were instructed not to leave downtown stations if large numbers of teens were on their trains. Regardless of the final arrest tally, Saturday’s incidents were significantly smaller than a series of mob incidents one week earlier in which twenty-one persons, nearly all juveniles, were arrested.